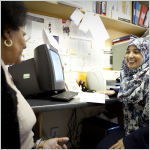 Daytime Advice Service provides general advice, including housing, benefits and debt, and can carry out home visits to housebound people in the Bethnal Green area by arrangement. Legal Advice Service is staffed by pro-bono volunteers from City law firms who offer evening sessions. 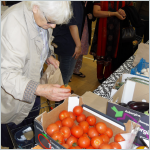 Food Coop Project provides affordable fresh fruit and vegetables to the local community. It also offers social enterprise training. 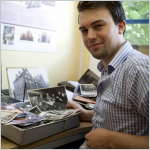 Community Memories Archive is a permanent resource for those interested in the local history of St Hilda’s and the surrounding area. Volunteers at St Hilda’s East Community Centre also receive training. If you are interested in volunteering with us, click here.